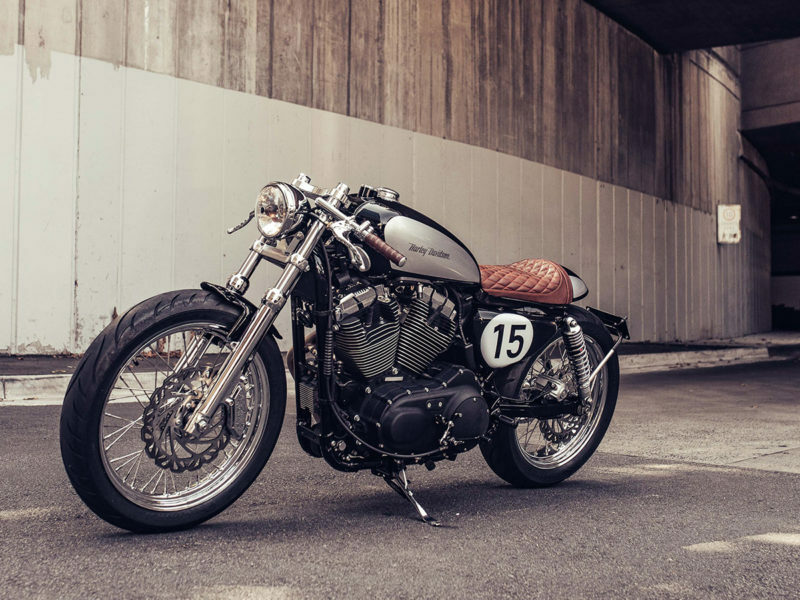 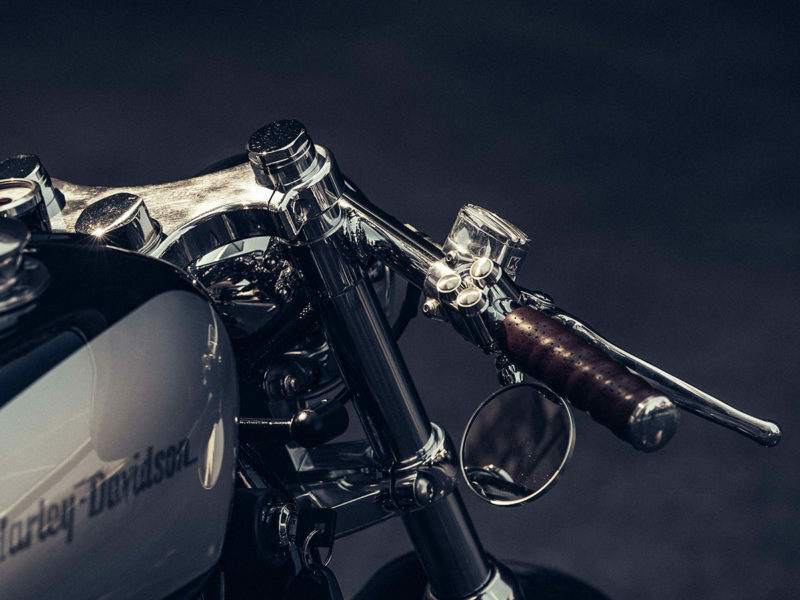 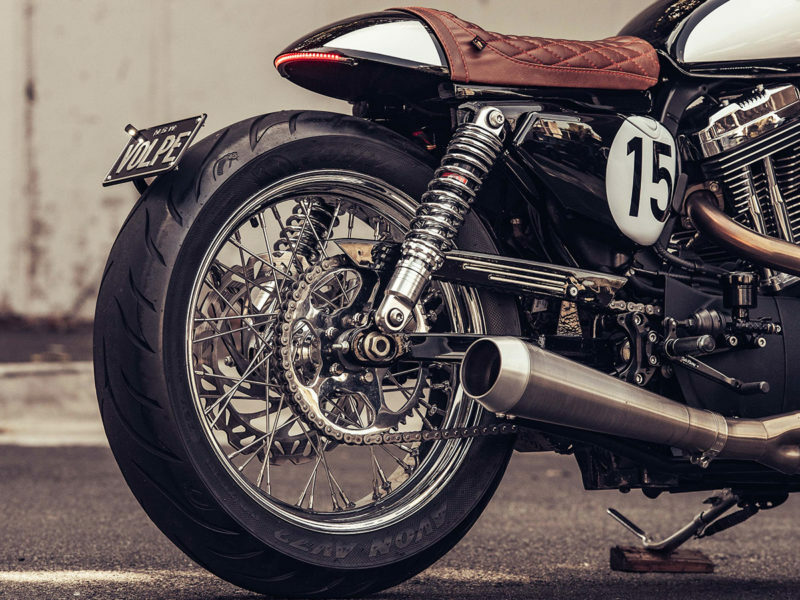 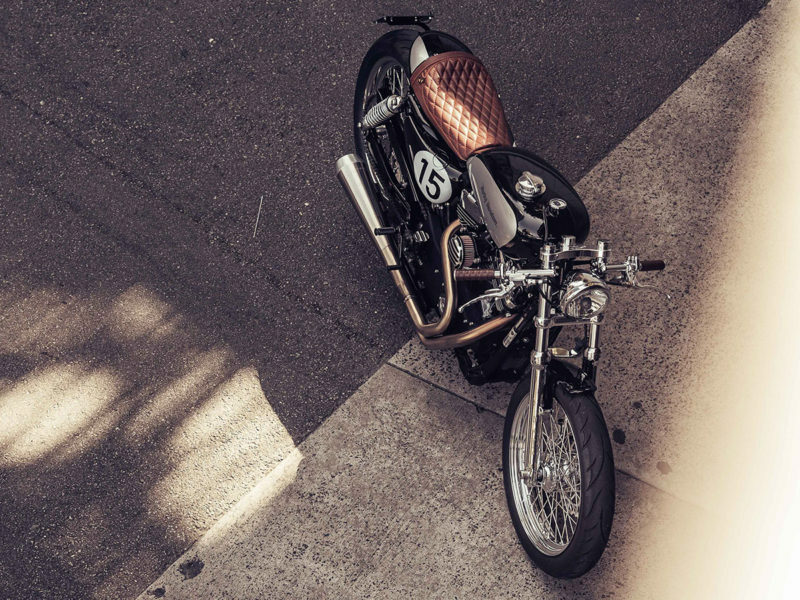 The custom bike builder Deus Ex Machina also makes surfboards and releases vinyl records by hip indie rock bands, so they get some cool points from us. 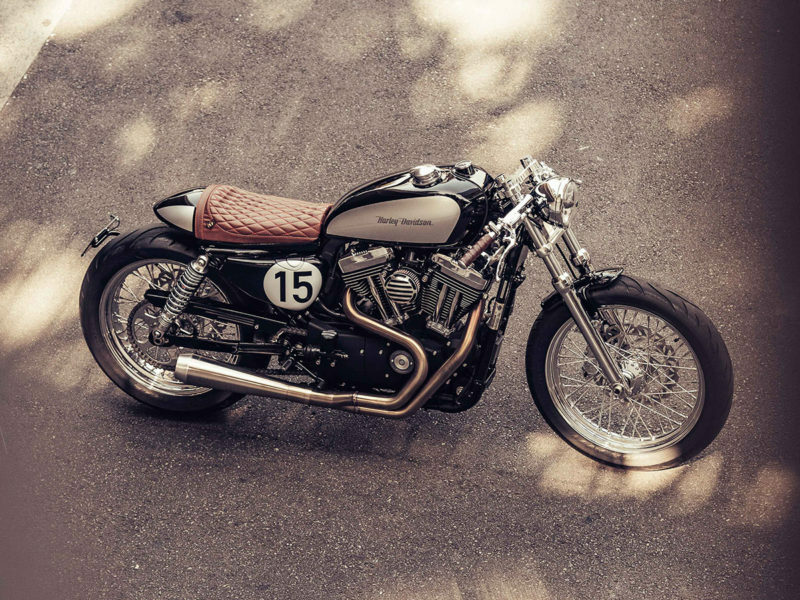 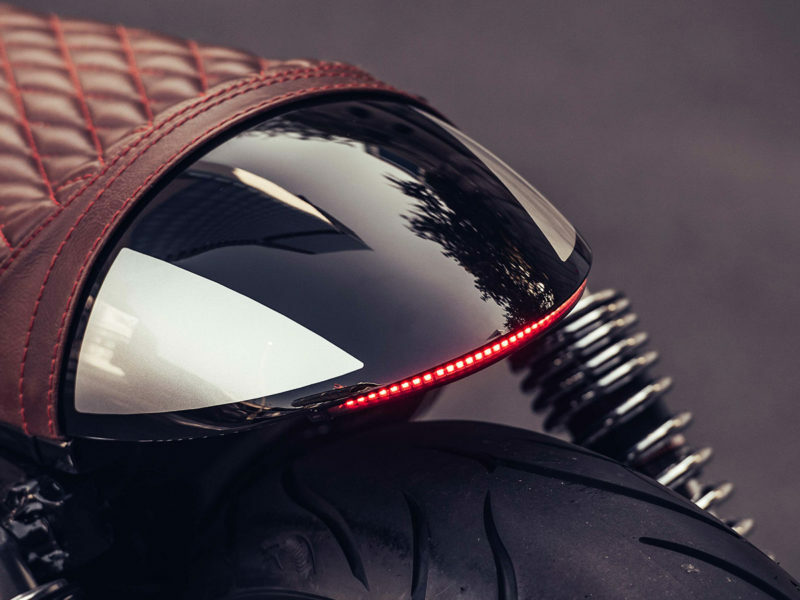 But Deus Ex Machina’s motorcycle design and creation abilities lie at the heart of its lasting appeal. 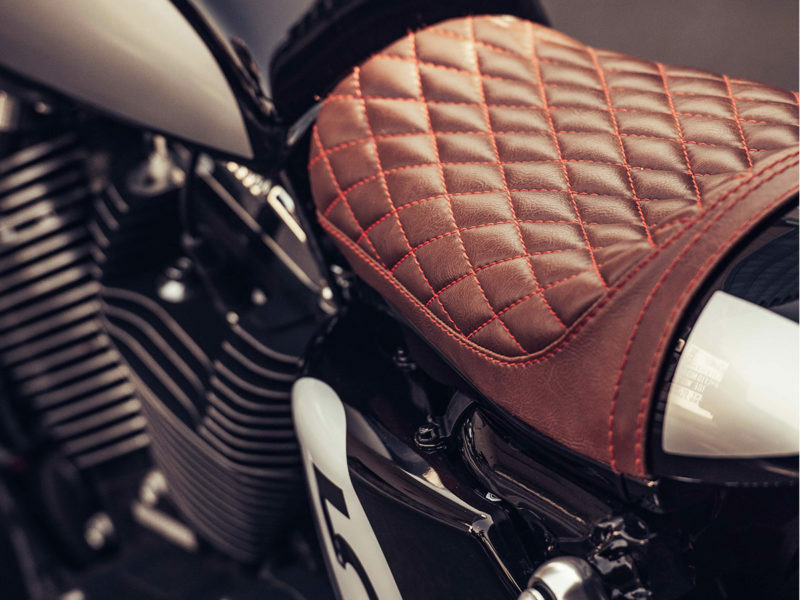 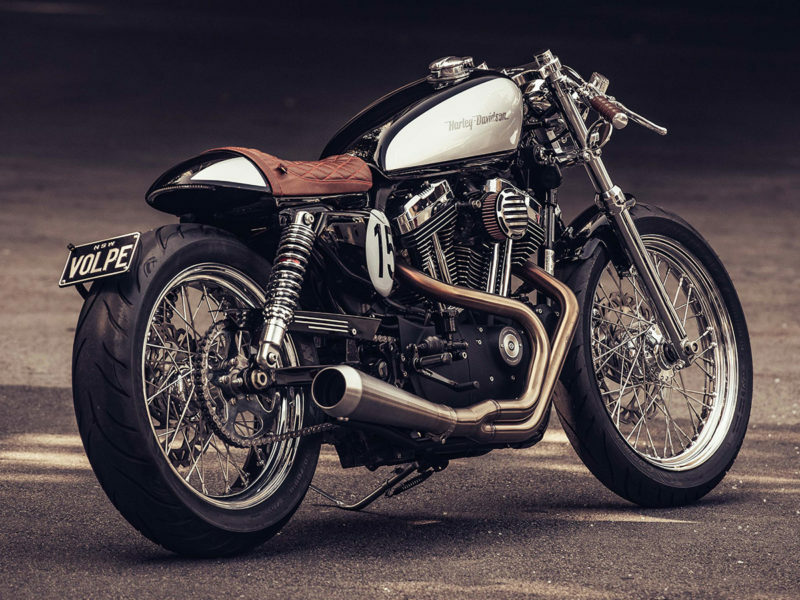 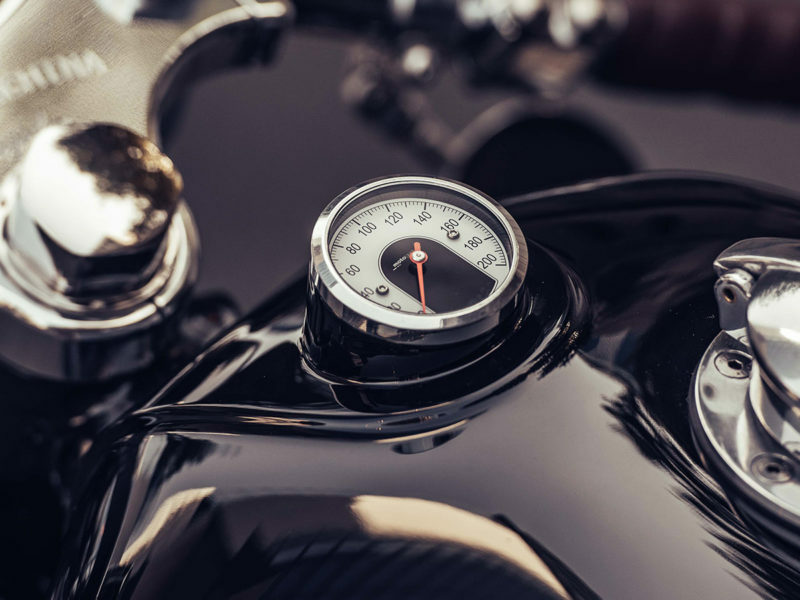 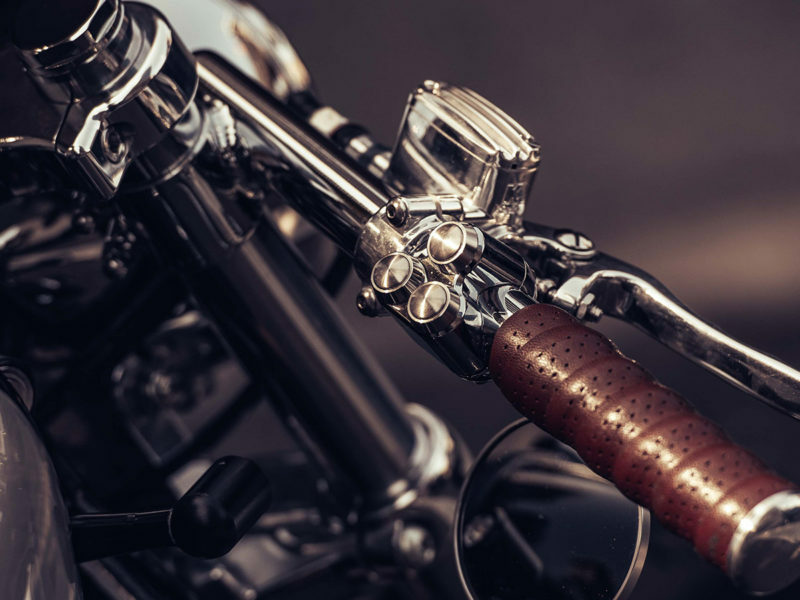 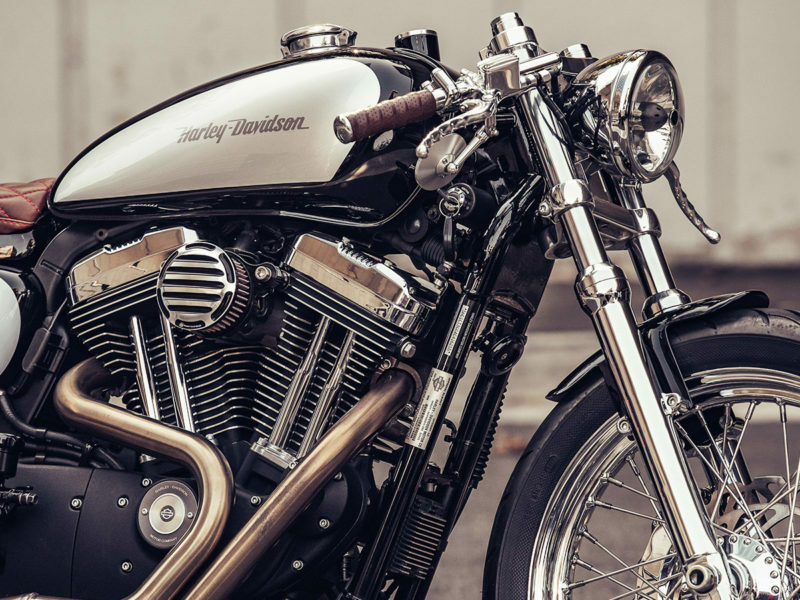 The latest of the company’s popular Harley Davidson projects, the XV-Twin 1200 couches the unbridled power of an XL 1200C Sportster engine in an overall design that stresses elegance and timeless sophistication. 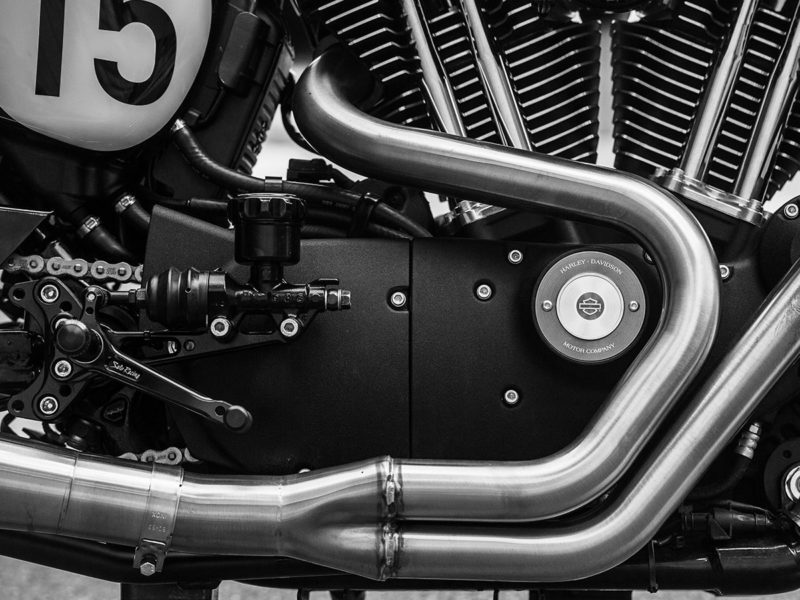 Key modified features of the Deus Ex Machina XV-Twin 1200 include a 2-into-1 Bassani exhaust system, a plugged in Vance & Hines “Fuelpack,” Roland Sands Design air intake accents, a Motogadget speedometer, Purpose Built Moto front and rear blinkers, a glossy Colour Fuel paint job, Kustom tech levers, and billet-top Fastec clamps.